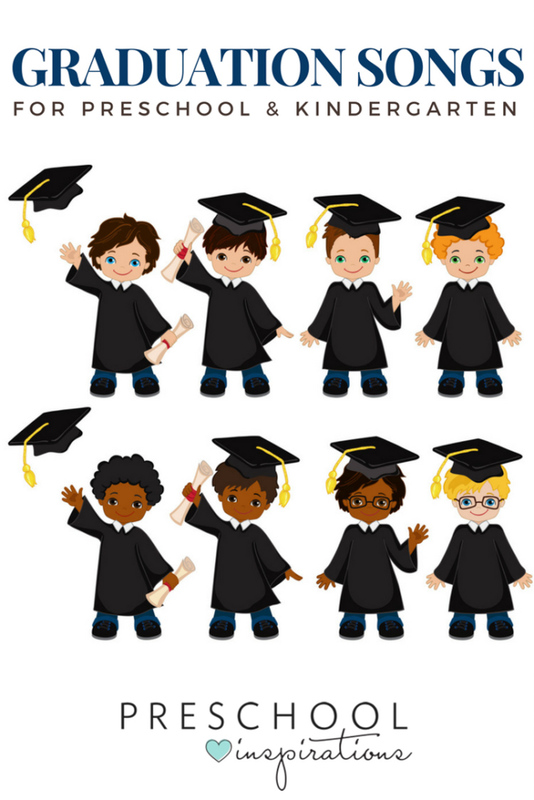 Need the perfect graduation song for a preschool or kindergarten celebration? These songs are for little ones to sing on the big day! Every school year children learn so much, and each school or program has a unique way of celebrating that. These songs are not only good for schools that do graduation but also for programs that are just coming to a close and want to provide a closing celebration with parents and loved ones. 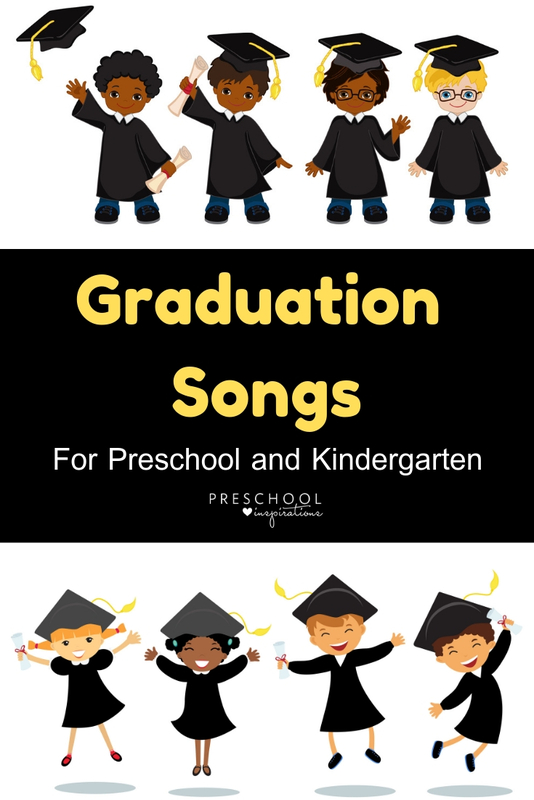 Graduation songs are a fun way to encourage children to practice following directions, learn music, and to express the arts! I have one child who was born for the stage and another who gets stage fright, and both are normal. The fun bloopers in the middle of the graduation songs are some of the best parts and let their personalities shine! Graduation songs are also perfect for slideshows. If you plan on putting some pictures together for a slide show, that is always a best-loved idea and gift for the end of the year. Here are some end of the year songs and slideshow songs that will help make your slideshow extra special and enjoyable! This “thank-you” song is too sweet, and there are even some tutorials on it if you go to the Youtube channel! It includes some super simple sign language. A sweet song sung to a familiar melody! “There’s only one me, I am it! Have a dream – I’ll follow it. It’s up to me to try!” So good! This one also includes sign language! Jump to 2 minutes to see the actual song performed. A fun call-and-response song! Great for little ones who maybe can’t memorize a lot of words. Super upbeat and fun! A very familiar song (we see you, Trolls!) with new words just for graduation! Just replace the word “Mila” with your school or program name. Your kids will love it! The title says it all – it doesn’t get much easier than this!! Super basic signs included. Graduation words set to the tune of Twinkle, Twinkle Little Star. So sweet! Upbeat song takes you through many years of a young child’s life. “Look at me, I’ve grown some more! B-I-G, I’m big! !” Cue the tissues! A great “thank you” song. Change out “Patty’s Preschool” for whatever is appropriate for your class. A generic “moving on” song that works well for graduation at any age! A foot-stompin’, hand-slappin’ goodbye song! Say goodbye to your friends, teachers, and school in this fun song! A kindergarten graduation song with lyrics. Talks about all the amazing things they learned that year! A super creative goodbye song that uses sign language and rhyming words! Congratulations to you and your class! Do you have another song in your preschool curriculum that you love? Which song is your favorite? Start and End your Day with Music! 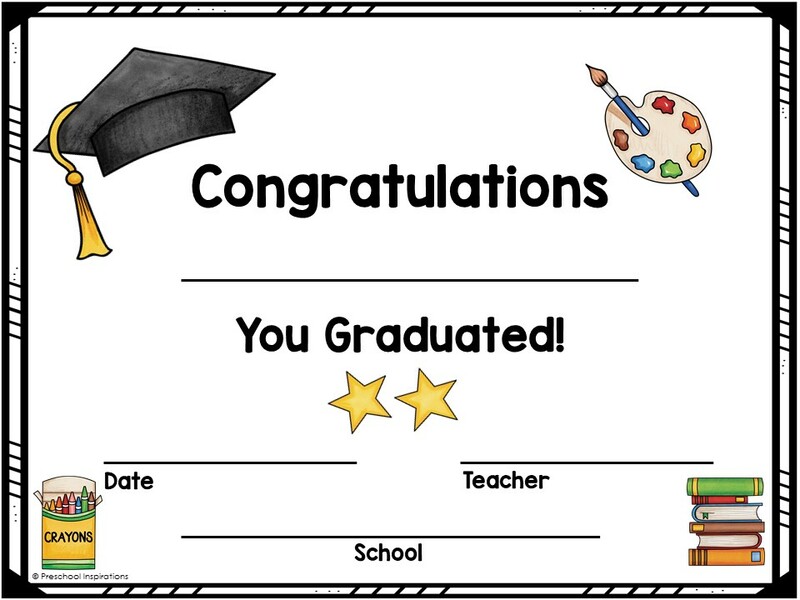 Get your fREE Graduation Certificate!